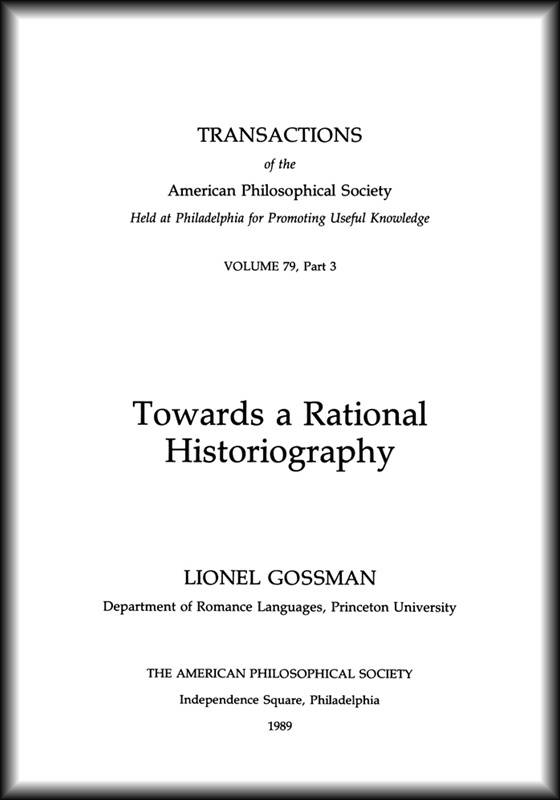 Author Lionel Gossman maintains that underlying the argument that historiography cannot be subsumed under a poetics or a rhetoric (in the sense of a system of purely linguistic or literary tropes) is a larger claim, namely that a wide range of activities, from literary criticism, through legal debate, theology, ethics, politics, psychology, and medicine to the natural sciences, all constitute rational practices, even if there is considerable variation in the degree of formalism and rigor and in the type of argument most commonly employed in each of these different of fields of inquiry. “In a 1963 essay on Voltaire’s History of Charles XII,” author Lionel Gossman tells the American Philosophical Society, “I had argued, in reaction to the seemingly entrenched positivism of the historical profession, that in constructing their narratives historians use the same literary figures and tropes as writers of fiction. 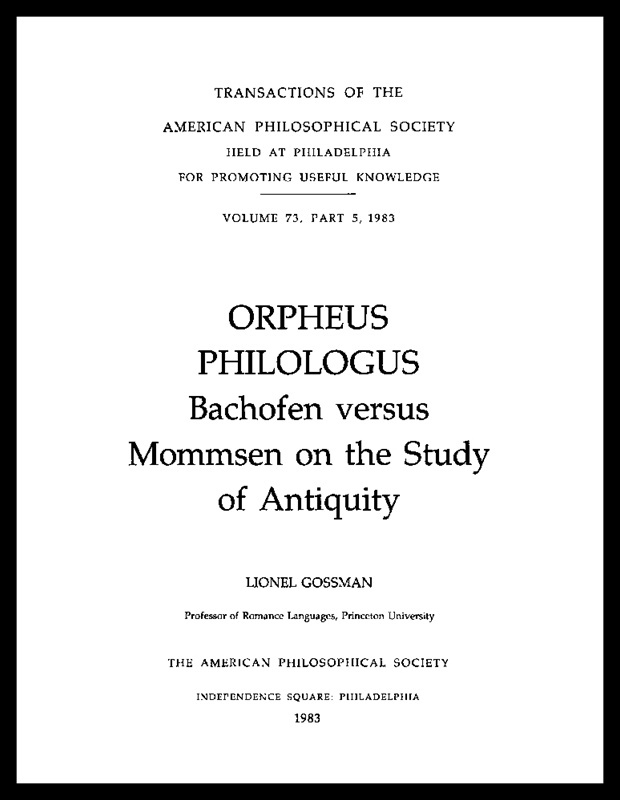 “After the publication of Hayden White’s groundbreaking Metahistory by the Johns Hopkins University Press (of whose editorial board I was then a member), I became associated with a group of historians, philosophers, and literary scholars, who were putting forward similar arguments. “Soon, however, as often happens, what had been a challenging, critical position became a new orthodoxy. My students seemed to believe that there was no difference at all between history and fiction. “I was convinced there was and I began to argue that modern history at least was a problem-solving rather than a myth-making activity, an ongoing process of criticism and revision, which could never, certainly, result in a representation of past reality but which in fact neither aimed nor claimed to offer that. Winner of the American Philosophical Society’s 2007 John Frederick Lewis Award for Best Book or Monograph. In this original and thought-provoking book, Princeton University Prof. 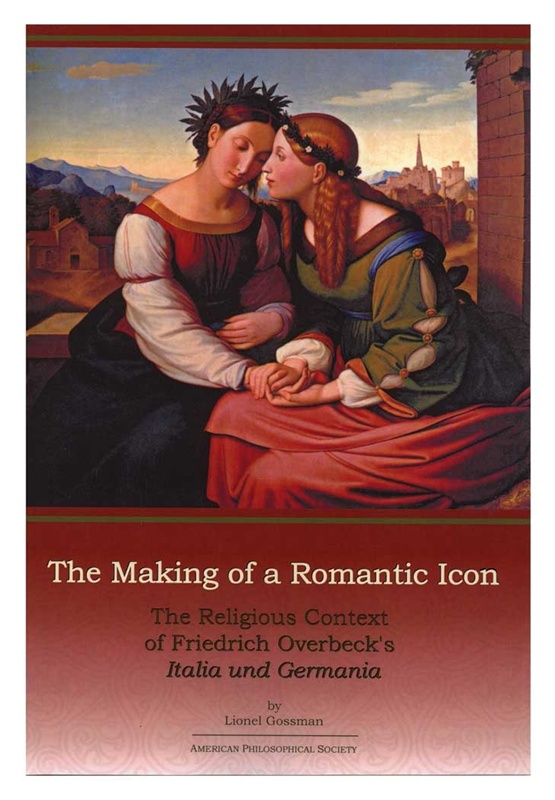 Emeritus Lionel Gossman, focuses on Johann Friedrich Overbeck’s “Italia and Germania” to discuss the importance of religious conversion in Romantic thought. It treats the evolution of the Nazarene artists’ preoccupation with religious issues in an engaging manner and offers a social-historical and theological context to Overbeck’s painting by looking interestingly at a wide range of issues and contacts in his early Nazarene period. Illustrations. “I was led to the once-influential Nazarene artists while preparing the Burckhardt section of my book on Basel,” author Lionel Gossman tells the American Philosophical Society. Burckhardt condemned them as retrograde, but I found their rejection of realism refreshing. The rigorous composition, pronounced linearity, and flat colors of their paintings and frescoes, and the strength, yet delicacy of their drawings appealed to me. “They also struck me as quite close to the the neo-classical artists, with whom they are sometimes contrasted, but with whom several of them had in fact studied and who, like them, denounced the subservience of baroque and rococo art to the desires and pleasures of the rich and powerful. This book in the Hachette Wine Library series shows you how to identify the different grape vines, the range of flavors they give to the wines, and also discusses the cultivation process. Describes 36 well-known grape varieties in detail. Some varieties, such as Pinot Noir, Cabernet Sauvignon, Riesling, Chardonnay and Syrah are cultivated throughout the world, others only flourish in certain areas. Find out which wines are produced from a single grape variety, or how grapes can be blended to produce some of the most famous wines in the world. Each variety is beautifully illustrated in full-color and accompanied by several key points to assist in their identification. Author Pierre Galet is a world-renowned French ampelographer (grapevine botanist). He has been elected an Officer in the French National Order of Agricultural Merit, and received a prize of special recognition by L’Office national Interprofessionnel des Vins (OIV), the association of French vintners. The Kentucky Vineyard Society, which founded the first commercial vineyard in the United States dating to 1798, lists this book among their recommended reading list. Contents: (1) Constitutional and Legal Basis for Executive Authority: Constitutional Text; Decisions of the U.S. Supreme Court: Youngstown Sheet and Tube v. Sawyer; Appointment and Removal Cases; (2) Theories of Executive Power: The “Traditional” View; The “Unitary Theory of the Executive”; (3) Presidential Administration: Responses to Traditionalist Arguments, and the “Unitary Theory of the Executive”; (4) Presidential Administration and Administrative Law; (5) Presidential Admin., Foreign Affairs, and National Security.